Today, I thought of sharing with you Fish in Mustard Gravy. I’ve made this quite often at home and wanted share with you all too. The fish I have used is Bhetki Fish. Also known as Australian Seabass. Popularly used in cuisines like Thai, Goan and Bengali. 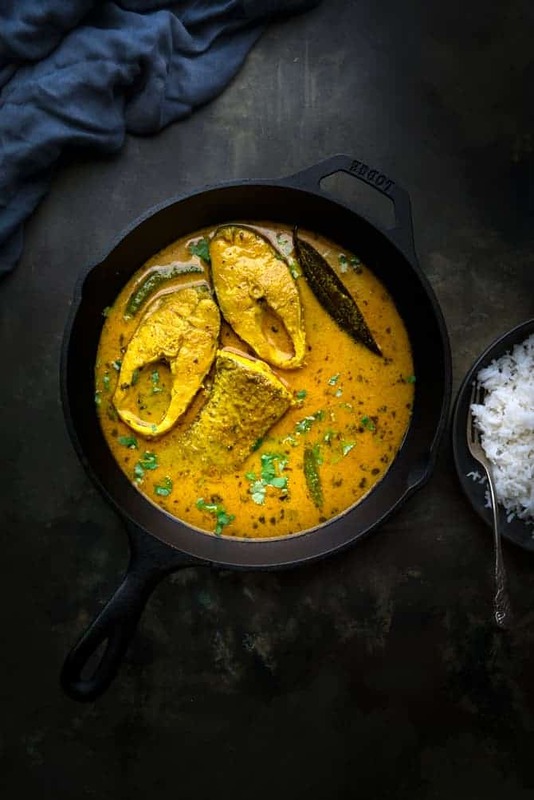 Whereas in Thai language the Australian/Asian Seabass is known as Pla Kapong, in Goa it is called Chonak and very popularly known as Bhetki (Barramundi) amongst the Bengali people. In kadhai or handi or same pan, heat 4 tablespoons of mustard oil until smoky. Reduce the heat to low and add bay leaf, fry it for few seconds. Add ground masala paste and sauté well on high for 3-4 minutes, until raw smell of onion goes off. Add turmeric powder, coriander powder, salt, amchur powder and mix. Cook for another couple of minutes. Add water depending upon the consistency of the gravy you require. Bring it a boil. Add fish slices, green chilies slit and gently mix. Cover and cook for 5-6 minutes. Lastly, add kasuri methi and mix, cook for another half a minute. 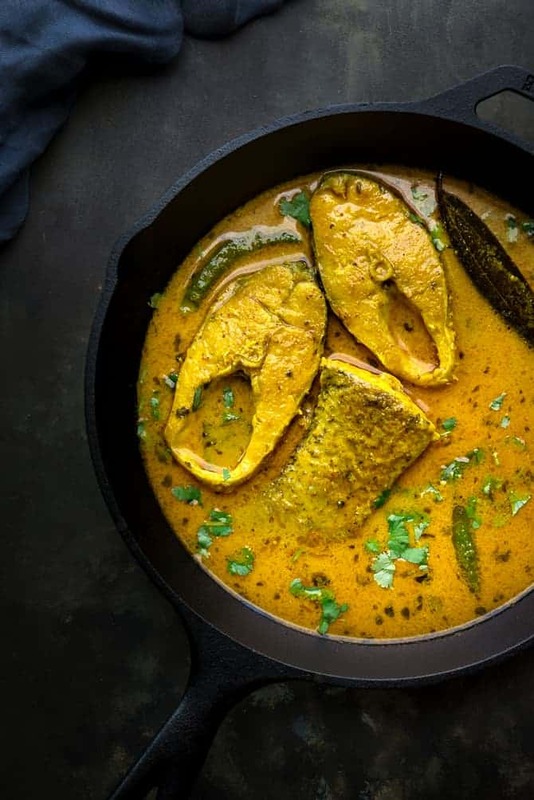 Delicious Fish in mustard gravy is ready to be served.